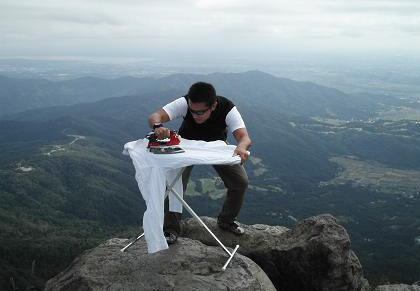 This entry was posted in humor and tagged eccentricity, Extreme ironing, humor. Bookmark the permalink. Very interesting and thoughtful essay, although it is ironic that he includes “under constant surveillance” in his list as, without that very thing, Boston might well still be on lock-down. I do love the idea of extreme ironing though.